The nine islands of the archipelago of Azores which is located in the middle of the Atlantic are just about four hours from Boston and two hours from Lisbon by plane. It is an interesting location for nature lovers and one can have an enjoyable holiday at this peaceful island. Each of these islands has their own distinctive characteristics to provide one of the top attractions for tourist both internationally as well as nationally with its stunning and natural environment. The archipelago, the western border of the European Economic Community occupies an area of around 2,333 kms and due to the dispersion of the islands covers an Exclusive Economic zone of around 940,000 kms and the residential population of the nine islands is approximately 237,000. The diverse coastline have sheltered bays which serve as safe refuge for maritime navigators as well as recreational swimming spots while the steep cliffs and rocks help to guard as well as decorate the island. There are several islets within the archipelago which enhances the scenery and also provides a sanctuary for bird colonies. 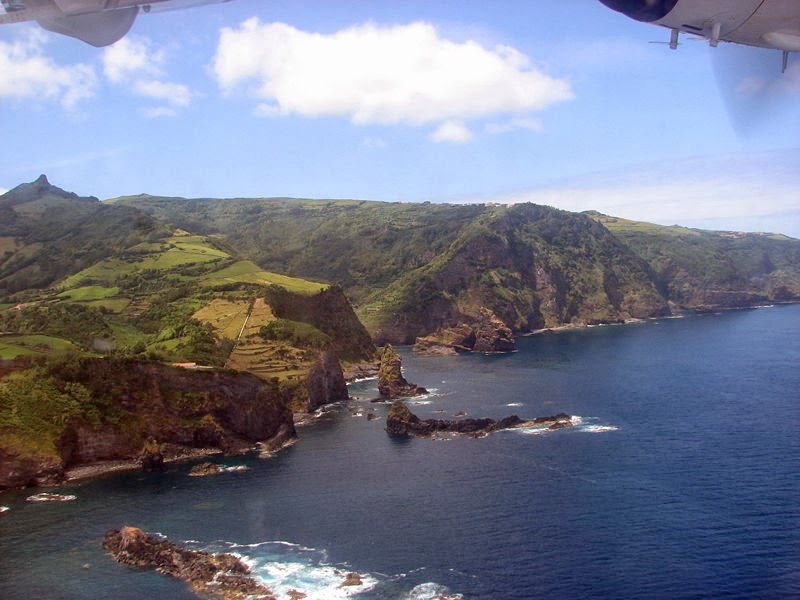 The islands are divided into three parts due to the geographical location based on their relative proximity namely the Eastern group which consist of Santa Maria and Sao Miguel. The Central part includes Terceira, Graciosa, Pico, Sao Jorge and Faial while the Western part consists of Flores and Corvo and the minimum distance between the two islands of Pico and Faial is 6 kms and the maximum distance around 600 kms dividing Santa Maria and Corvo. The population is scattered throughout the island of the Azores with the majority of 53% of the people in Sao Miguel followed by Terceira of 23.5%, Pico with 6.4%, Faial with 6.3%, Sao Jorge with 4.3%, Santa Maria with 2.5%, Graciosa – 2.2%, Flores around 1.8% and Corvo with 0.2%. One will find a variety of dishes in the traditional Azorean cuisine with assorted menu to tickle the taste buds which could probably be due to the geographical dispersion of these islands together with the richness of the ocean as well as the production of quality meat, cheese and other horticultural products which permit the use of a variety of ingredients in their cuisine.. The clear blue water which surrounds the island is calm and mild in temperature and is very tempting for nautical sports like surfing, yachting, rowing, sailing, windsurfing as well as swimming. One will also find a rich variety of fish from amateur fishermen after their catch. The Azorean waters also offer tourist opportunity of sub aquatic life in deep multi colored ocean which is rich is sea life and vegetation as well as many natural pools and beaches for socializing and resting during swimming seasons. The festive celebration and the religious nature of the Azorean people are the religious holidays and in the number of emigrants from all over the world who come on these special occasions, to participate in the festivals and in alms giving. Festa do Senhor Santo Cristo dos Milagres, festival of Christ of Miracles is the largest religious feast celebrated in Azores, in the city of Ponta Delgada, which takes place on the 5th Sunday after Easter joined by many pilgrims who unite in faith on a three hour procession behind the image of Christ along flower decorated streets of Ponta Delgada.